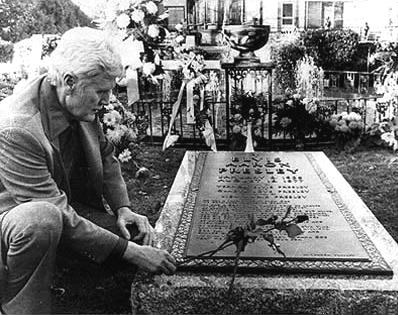 Dr Francisco, chief medical examiner of Shelby County conducted the three-hour autopsy on Elvis upon Vernon Presley’s request. Dr Francisco ruled Elvis died as a result of coronary arrhythmia (an irregular beating of the heart resulting from myocardial infarction) Elvis real “cause of death” revealed more than originally reported to the media is a bid to retain Elvis Presley reputation as the King of Rock n Roll. The month of August turns Elvis fans thoughts and prayers to the death of Elvis Presley. 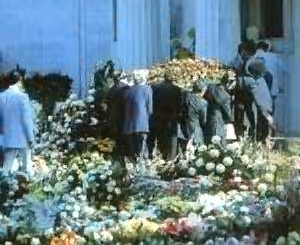 Thousands commemorate Elvis Presley Death by making the pilgrimage to Memphis to pay their respects at Elvis’ Graceland graveside. Many fan clubs organize events to remember the life and times of their idol. Others, like myself, will play their favorite Elvis CD and reflect. 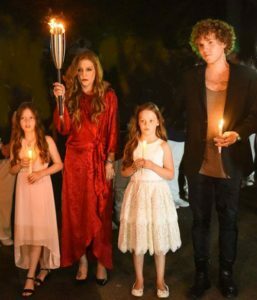 Millions will watch the vigil live on Graceland’s cam. 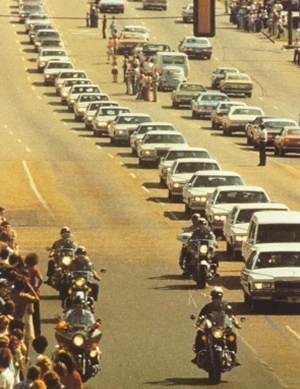 Every August, fans pay tribute to the King with a candlelight vigil on the anniversary of his death, and this year, police estimated attendance at around 35,000. Thats a sharp falloff from the previous years vigil, which attracted 75,000 fans and 500 people touring the mansion every houraccording to the Memphis Commercial Appeal. The fact that 2017 marked a nice round number for the anniversary (40 years) seemed to have a lot to do with the phenomenal crowd size. Indeed, the big anniversaries regularly draw more and more vigil attendees 35,000 on the 25th anniversary (when it rained), and closer to 50,000 on the 30th. The theory that interest in Elvis is fading due to an aging fan base is also silly, according to EPE, which estimates that 30% of both Graceland visitors and the nine million Elvis Presley Facebook fans are under the age of 35. The facts speak for themselves! Fact 7. Elvis has 34 statues around the world.